LaShawn Jenkins’ passion for social justice led him to obtain his Juris Doctorate from Howard University School of Law in 2002 after completing a Bachelor of Arts in Biology at Emory University. He was admitted into the Arizona Bar in 2002 and started his career as a member of one of the largest firms in the State of Arizona, and most reputable in the nation, Quarles & Brady LLP. He spent 7 years practicing at Q&B, focusing on the areas of general corporate and business transactions, mergers and acquisitions, corporate finance and securities, federal and state securities law compliance and reporting matters, landlord-tenant disputes, probate litigation and bankruptcy & creditors’ rights; including foreclosures, receiverships, and garnishments. 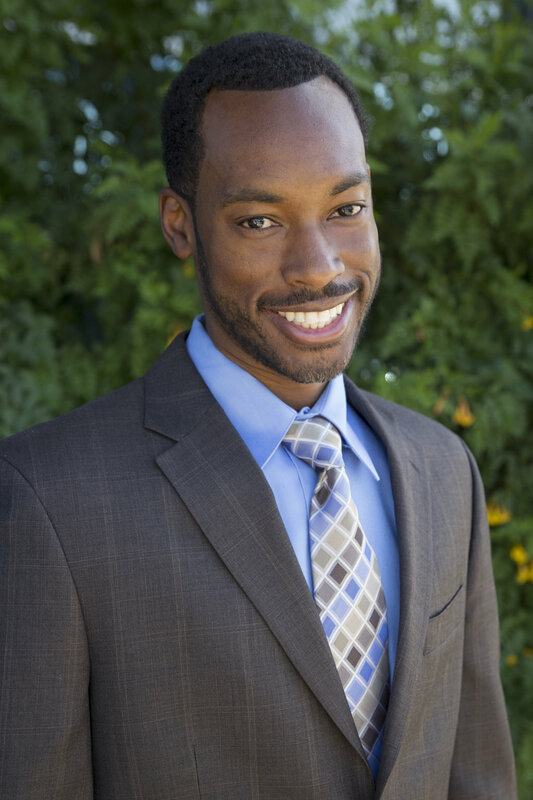 In July of 2009, LaShawn Jenkins compiled all that he had learned and boldly ventured out to start Jenkins Law Firm. In addition to his passion for social justice, his innate desires to help people within the law, his love of business growth and its stimulating effect on the economy have led LaShawn Jenkins to build the firm’s practice areas around Personal Injury, Wrongful Death, Corporation Formation, Probate/Wills/Trusts/Estates, Litigation, Bankruptcy, Debt Negotiation, and Landlord-Tenant Rights. Howard University School of Law (J.D., 2002). Thurgood Marshall Scholar. Student Bar Association, Class Representative. Emory University (B.A., Biology/Environmental Science, 1999). Dean’s List. Martin Luther King, Jr. Scholar. Humanitarian Award Nominee. Omega Psi Phi Fraternity, Inc. Undergraduate Man of the Year, 1998. Phoenix Business Journal’s Top Forty Under 40, Class of 2008; Arizona Republic’s 35 Entrepreneurs 35 and Under, Class of 2012. State Bar Arizona (“SBA”), Member; American Bar Association (“ABA”) Young Lawyers Division (“YLD”), Member (2006-2011); ABA Public Service and Conferences Team, Member (2007-2009); Maricopa County Bar Association (“MCBA”), Board of Directors (2007-2010); MCBA YLD: Board Member (2003-2010), Treasurer (2007), President (2009); MCBA, Other: Corporate Counsel Division, Member; Bankruptcy Section, Liaison. Omega Psi Phi Fraternity, Inc., Member; Greater Phoenix Urban League Young Professionals, Member, 2008. City of Phoenix Commissioner, Human Relations Commission, Chair (2008-2009); YMCA YAchievers/Community Initiatives, Steering Committee, Chair; Volunteer Lawyers Program, Volunteer Lawyer; Historically Black Colleges and Universities Alumni in AZ, Co-Founder and President; Association of Emory Alumni in Phoenix, Alumni Coordinator; Homeroom Parent, Capitol School (2002-2006) ; City of Mesa Citizens Bond Committee (2005); City of Mesa Housing and Human Services Advisory Board (2004-2005); Faith Christian Center, Worship Arts Department, Volunteer (2009-Present). LaShawn gives glory and honor to God, the Lord and Savior Jesus Christ, and the Holy Spirit for all of his accomplishments!